Happy Hamby Campers: Another memorial crossing?! 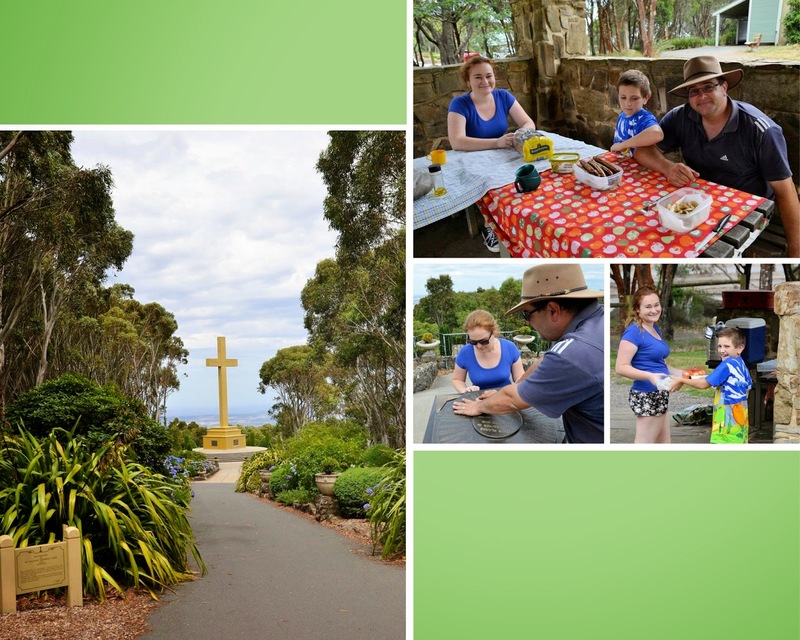 We've visited the Memorial Cross at Mount Macedon a couple of times since our relocation. Of course, our misty mountain picnic will always be fondly remembered! Today was Nissa's first visit and we enjoyed a sausage sizzle together after admiring the views. There are many picnic spots in the area, so after lunch we drove around slowly (taking advantage of the clear conditions) to explore further. 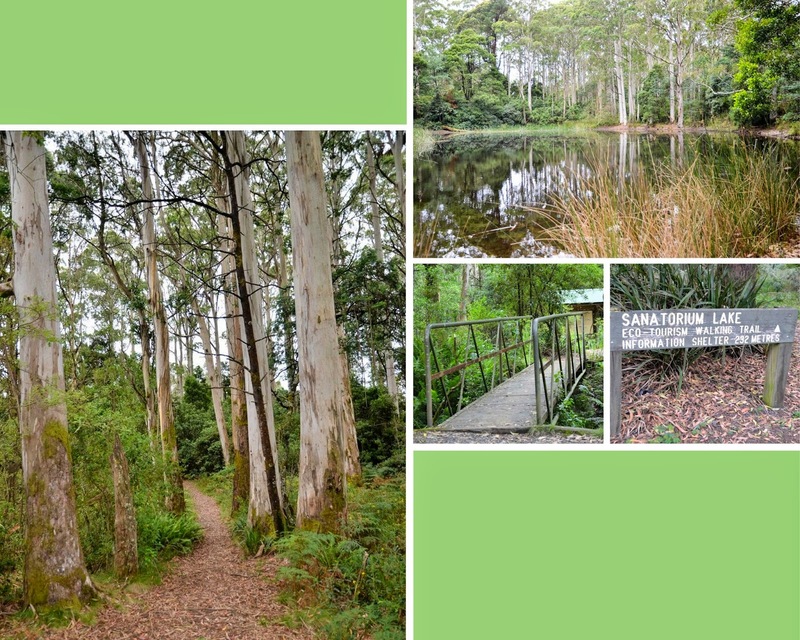 We followed the signs to Sanatorium Lake, which was a short walk from the car-park - and we were back in the car before the rain! Hay, it's the Pink Cliffs!